This post follows on from The Origins of Islamic Militancy. This time I change pace and copy a small section from pages 92 to 94 of Jason Burke’s book, The New Threat: The Past, Present, and Future of Islamic Militancy (2015). I have a lot of time for Burke’s books on this topic. He is one of the few to get out into the field, sometimes at risk to his own life, to talk with terrorists and their associates. Formatting and bolding are mine. So why did militants turn to attack the West? One important reason is to be found in Saudi Arabia. 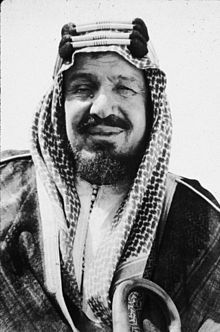 As a state, Saudi Arabia owed its foundation to the alliance of the battle-hardened latter-day followers of Mohammed ibn Abd al-Wahhab, who had preached an austere, puritanical interpretation of Islam in the Arabian peninsula since the late eighteenth century, and an ambitious, capable tribal leader called Abdulaziz ibn Saud. Each involved a different enemy — violent local militants who branded their rulers apostates, atheist Communists and Shia Islamists — but each revealed a new and potentially deadly threat to the reign of the house of Saud. One response of the kingdom’s rulers was to use a substantial amount of the vast wealth generated by their oil revenues to expand the proselytisation of the Wahhabi creed, one of the most rigorous, intolerant and conservative existing in Islam, throughout the Sunni Muslim world. This had been a policy for some time but now the effort was massively expanded in an updated though much more far-reaching version of the original strategy that had brought them to power sixty years before. The aim was to reinforce their own religious credentials at home while increasing their influence overseas, allowing them to reassert their claim to both religious and political leadership in the Islamic world. tens of thousands of religious schools, mosques, Islamic universities and religious centres were built worldwide. Hundreds of thousands of scholarships to Saudi universities were offered and stipends paid to preachers. Tens of millions of copies of holy texts and, more importantly, deeply conservative interpretations of them, were published and distributed. This strategic choice was to have a huge impact on the Muslim world, fundamentally altering faith, observance and religious identity for hundreds of millions of people. It also contributed, as intended, to a shift of cultural influence from Egypt, once the unchallenged intellectual centre of the Arab world, to Saudi Arabia, its religious centre.